The Cyber School Manager Payroll Manager is a module that enables schools to keep track of all the financial aspects of employees including salary reports, payslips generation, allowances, deductions time cards, employee records etc. for teachers and other employees. It streamlines the management of payroll and employees data. 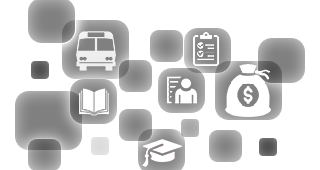 Our Payroll Manager Software has been designed to suit the needs of the education sector. Our Payroll management software makes work easy for the school administration when processing employee salaries. It is 100% compliant with the laws and regulations of the state. You can configure numerous allowances and calculation parameters based on specific requirements. The payroll module enables the calculation of the number of days worked, amount payable as well as deductions. It enables the generations of various reports such Challans and PF forms for various departments and calculation of salary expenses. It manages financial records of academic and non-academic staff including details such as personal profiles, pay band, pay grade, employment date, date of retirement, Pension Fund Administration, Monthly salary, generate various reports including employee list, loan register, Insurance reports, and form 16 etc.